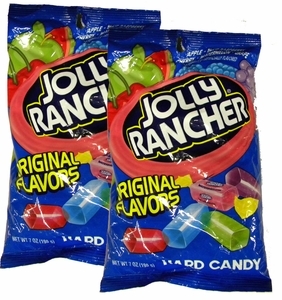 In 1949, Bill and Dorothy Harmsen started Jolly Rancher Candy Company in Colorado. 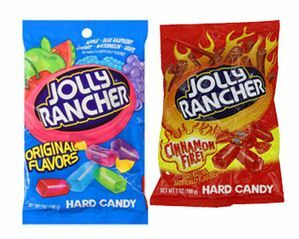 At the time, their candy was called “Famous for Flavor” – and that’s exactly what they’ve become. 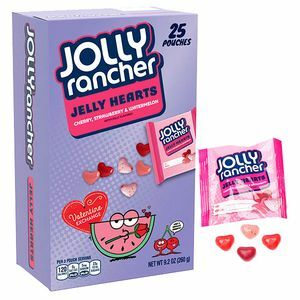 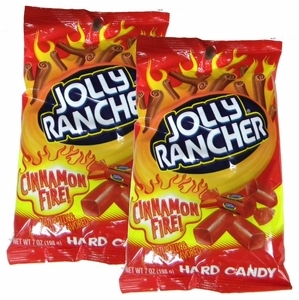 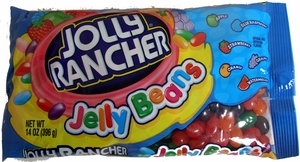 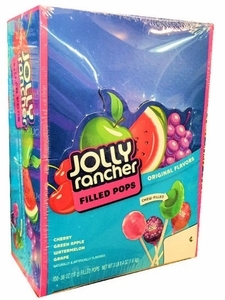 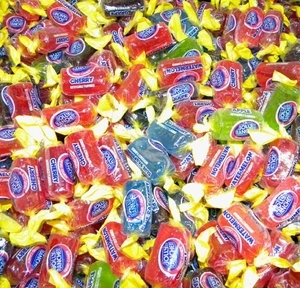 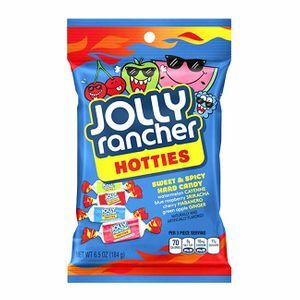 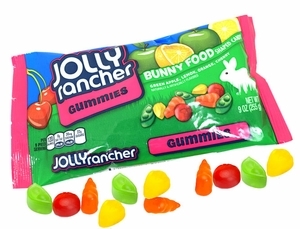 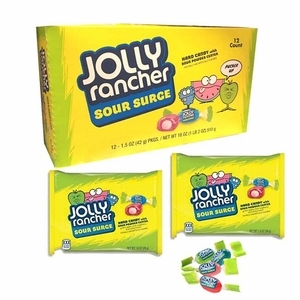 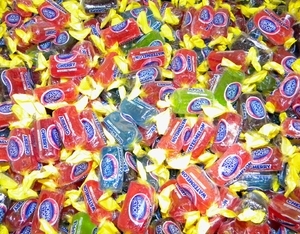 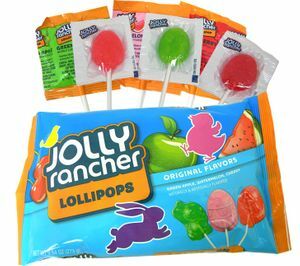 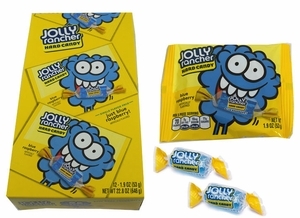 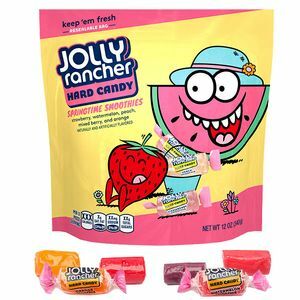 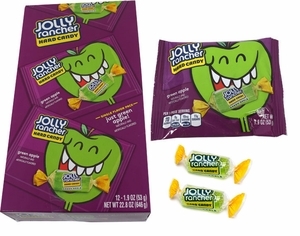 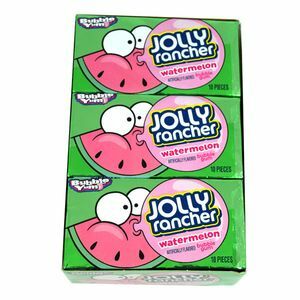 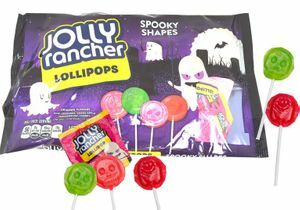 With countless varieties, Jolly Ranchers are now a favorite among candy lovers everywhere. 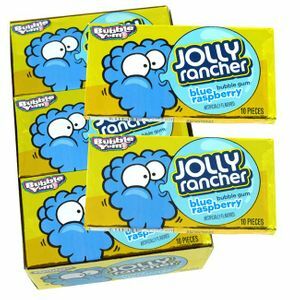 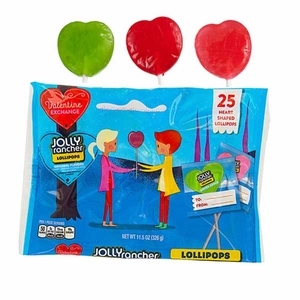 These popular hard candies are individually wrapped and bursting with bold fruit flavors like apple, blue raspberry, cherry, grape and watermelon. 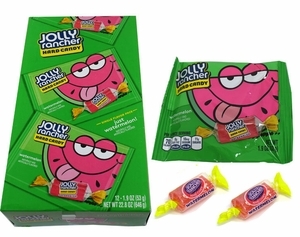 Just pop one in your mouth and enjoy the sweet, fruity taste until it dissolves! 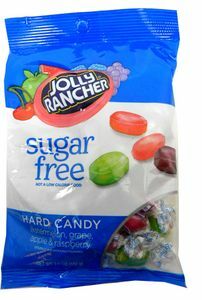 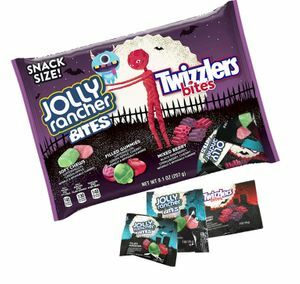 Jolly Ranchers are perfect for parties, Trick-or-Treating, and the candy bowl in your home or office. 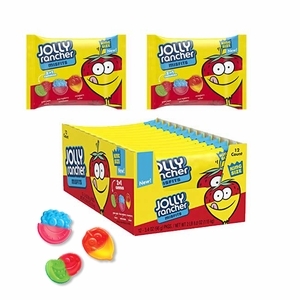 With multiple flavors in varieties like Jolly Rancher Bites,Jolly Rancher Gummies, and sugar free Jolly Ranchers, there’s a choice for everyone.